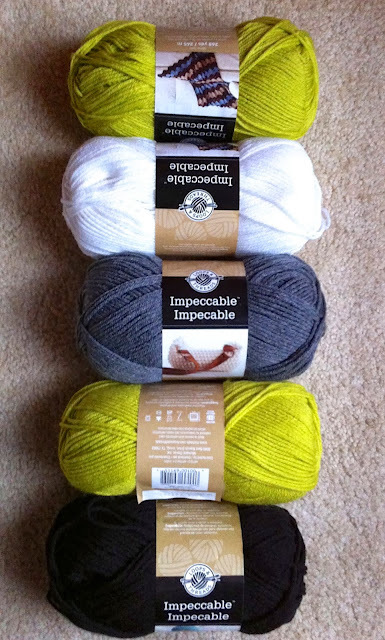 I went to the yarn store this week and started a bunch more projects! What spurred me was having the kids try on winter clothes this weekend. Surprisingly I did not have to buy much this year...snow pants for Jack and boots for Liv (of course, they probably just grew while I typed that). But they do need new hats! So, I got yarn for a hat for each of them (and if Jack's works out, I'll make him a second from stash yarn). 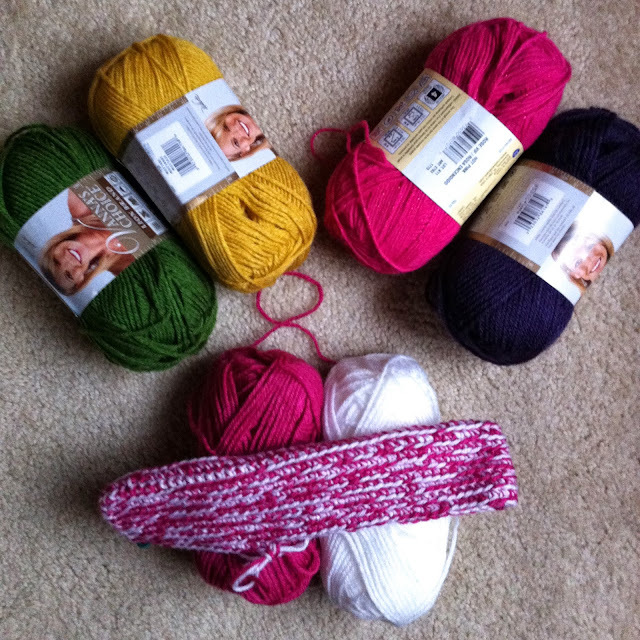 The start is for a double pom pom hat for Livie. 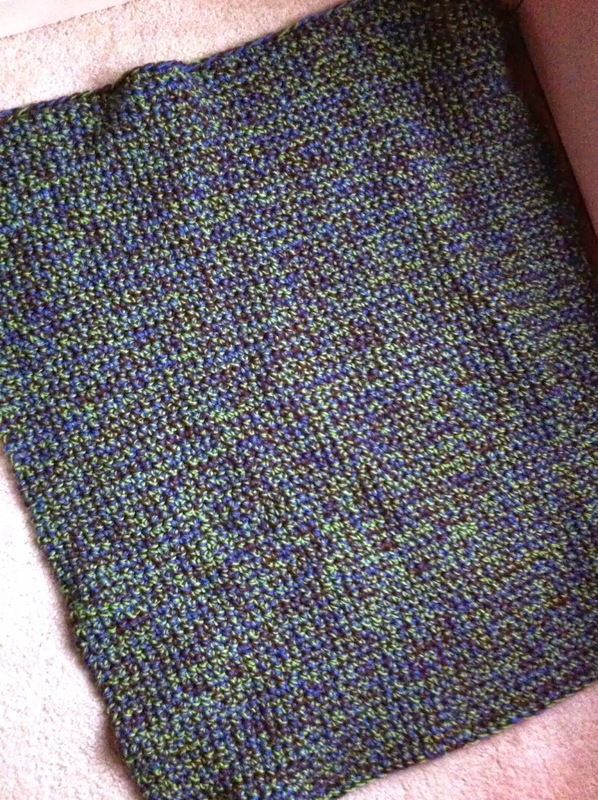 As far as projects I'm actually hooking, I've been plugging away on Uncle Neil's blanket as the girls read to me. It's a little over half done. Measures about 36' long now. I feel like the width shortened up on me though. I was planning it at 40" and it measured about 35" this morning. So, I might go a little shorter than planned on the length...we'll see I guess. I'm also working on timing a gift project that I will need to make multiples of. I'm at one hour and if I can complete it in two, I think I've found my pattern!